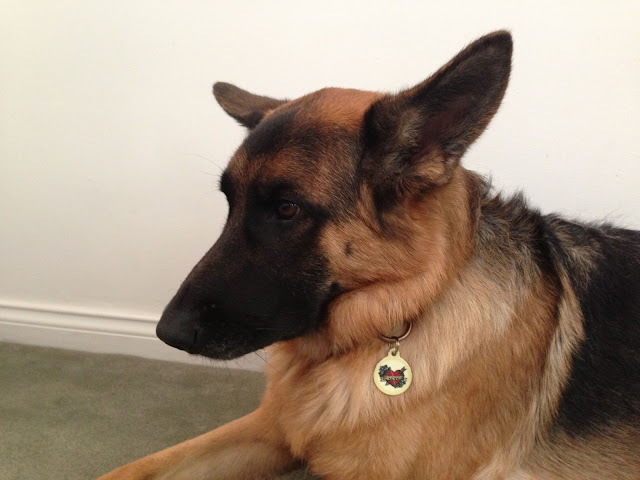 I love the dog tag I ordered online for Indigo from Dog Tag Art. 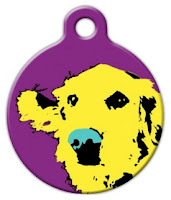 They have hundreds of great designs to choose from and you can even design your own by uploading artwork or a photo of your dog. 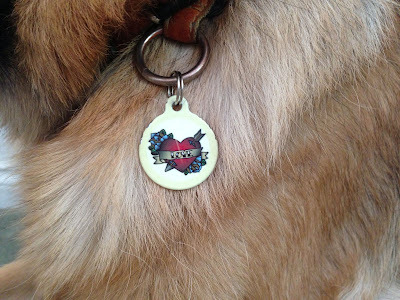 I chose this "Love" tattoo for Indigo ... it's a bit worn now as our Jack Russell, Lily, likes to try and nibble on it. 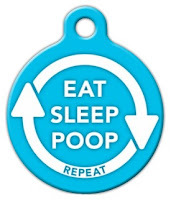 The back of the tag has her name and contact info, as well as a personalized web address from Dog Tag Art in case your dog is lost. 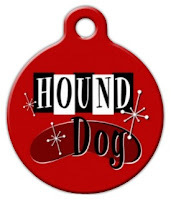 I'm also sharing some of my dog tag favorites from their website below. 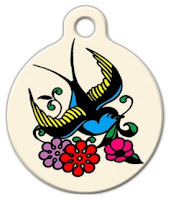 Click here to visit Dog Tag Art's website. 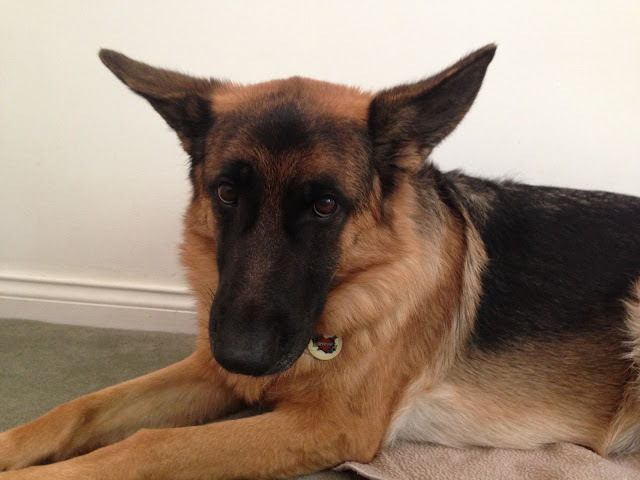 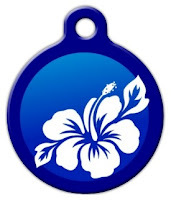 Click on individual dog tags to see on the website.